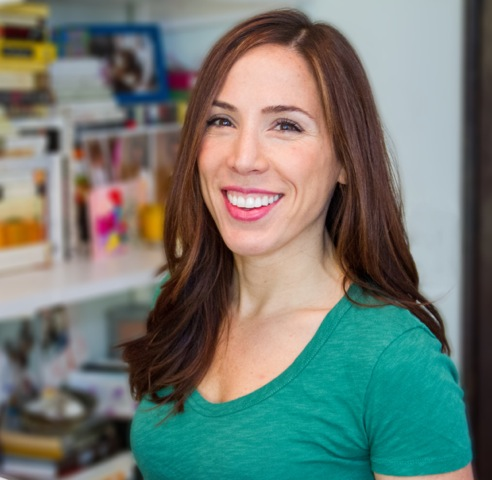 #Interview & #Giveaway: Meet Camille Pagan, and learn about her book that was released yesterday! I’ve been in love with fiction as long as I could read, but for a long time, the idea of being a novelist seemed out of my reach. In fact, I remember attempting to write a book shortly after I graduated from college and realizing I was completely in over my head. So, I put it aside, and though I had ideas along the way, didn’t really try again until just before I turned 30. The idea for my first book, The Art of Forgetting, came to me suddenly, and I started writing at night when my daughter (who was then an infant) went to bed. Several months later, I had a rough draft on my hands. That draft required many, many edits, but soon after, I found an agent (the wonderful Elisabeth Weed of The Book Group; she’s still my agent today), and sold to a publisher in the U.S., and half a dozen foreign publishers, too. It was a great experience, and also a lucky one. 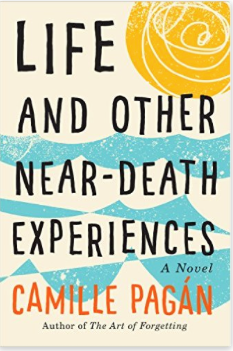 I wrote many novels between Forgetting and Life and Other Near-Death Experiences, many of which were so-so, and some of which were actually terrible. But that process ultimately helped me write a great “second” novel (which is really like my seventh; I’ve lost count). Annie: You know I loved your first novel, “The Art of Forgetting”. I remember going to meet you at a book store in Brooklyn where you were doing a reading and signing novels…So much fun! Q: Tell us a little more about how you began writing. I know I met you because you interviewed me for an article you were writing for the “Arthritis Today” magazine. Do you think those experiences helped you become a better writer? After college, I attended a post-graduate publishing course at Radcliffe (the program’s now at Columbia), and then moved to New York and took a position as an editor at a health publication. I spent several years doing that, and then struck out on my own as an independent journalist at the end of 2004. In the following decade, I wrote for dozens of different publications—including Arthritis Today, where I worked as a contributing editor for six years, and which is of course how we met. Interestingly, I took a position as the health editor at Real Simple this past January, so now I’m back to being an editor full-time. Both writing and editing non-fiction have been hugely beneficial to my career as a novelist. I know how to do intensive research on health topics (including brain injury, which I wrote about in my first novel; and cancer, which I wrote about in my second novel). More important, though, I spend my day thinking about the meaning of words, the rhythm of sentences, and the structure of paragraphs. This thought process undoubtedly improves my fiction. Q: As you geared up for your Book Release of “Life and other Near Death Experiences” on November 1st, 2015, what was the most exciting part(s) for you? Amazon chose my book as a Kindle First pick, which means it was one of six books offered this October—a month early—to Amazon Prime and Kindle First members. It spent the very first week of October the single bestselling title in the Kindle Store, and has already reached thousands of early readers. To say that’s a dream come true for me is the understatement of the year. Annie: I ordered your book that way….thought I may as well have the print and eBook! Congratulations, that is definitely an impressive dream come true! Q: You have another amazing book, called “The Art of Forgetting”. You went to the top of my favorite’s book list with that novel!! MUST READ ALERT!! What is that your favorite topic to explore in your writing? Annie, thank you! And wow—that’s a tough question! Ultimately, I am drawn to stories that explore how humans deal with the inevitable sadness and loss that comes with life. Personally, I deal with grief and pain with equal parts introspection and humor, and I think that’s what you’ll find in my novels. Q: Is there an author that you feel resonates with you and your writing style? I just discovered Lauren Fox after picking up her third novel, Days of Awe. I devoured it—such a smart, funny, heartbreaking take on friendship and life. As soon as I finished Days, I immediately read her first, Still Life With Husband, which was also terrific. So, she’s my new author crush. Annie: I reviewed “Still Life with Husband” for Elle Magazine back I 2006…I actually got to hold the manuscript. She is a great writer. I see why you like her! I write most mornings before work, almost always at my desk. I’m not a write on the couch kind of person; I need a bit of structure. Then I write out the next day’s scenes by hand at night before I go to sleep. Q: May I ask who your favorite authors are? Books? The books I have read over and over are Barbara Kingsolver’s Prodigal Summer, Wallace Stegner’s Crossing to Safety, Gail Caldwell’s Let’s Take the Long Way Home, and all of Lorrie Moore’s short story collections, particularly Birds of America. Beyond that, I enjoy so many different authors. Elena Ferrante is a new favorite, and I just read and absolutely loved Per Petterson’s utterly devastating I Refuse. I devour anything my friend Sarah Jio writes, and always pick up Elin Hilderbrand’s latest; her books are consistently good. I love the act of writing a book. Yes, it’s hard—especially when you get to the end of a first (or third, or fifth) draft and realize you have to go back and fix so many things, but the actual writing process brings me great joy. It’s like my way of meditating and figuring out what I think about, and expect from, life. Q: When can we expect your next book? Do you want to tell us a little bit about it? Soon, I hope. I don’t have a publication date yet, but I’m just past the halfway point on the draft of my next novel. It’s about marriage—and for now, that’s all I can reveal! Can I say both? Seriously, I’m the person who often buys an e-book—and if I love it, end up buying the paperback or hardcover to add to my bookshelves (my office is filled with books … and so is the rest of my house, for that matter). I love the feel of a “paper” book, but I travel frequently for work and pleasure, and there is nothing better than loading a bunch of new books onto my Kindle and knowing I don’t have to bring an extra carryon to tote them all. Annie: What a pleasure getting to interview Camille! She is super talented, and I hope you take the time to read both of her novels! YVONNE GUENTHER IS THE WINNER!! CONGRATS!! I have Life and Other Near Death Experiences on my personal wish list of books. This interview makes me want to read it even more. I’m so impressed that the author’s work in nonfiction writing influences her fiction writing. There are so many health issues that could be better understood by including them in the dynamics of an excellent novel!